Meet: Derek Mio – Yow Yow! Tonight at 8 PM, the new season of Greek premieres on ABC Family. What are you doing? Cause you should be watching. 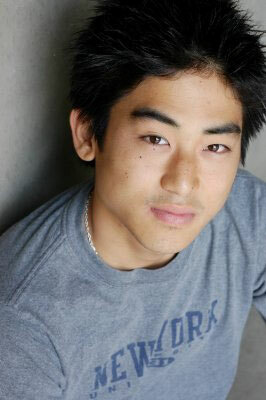 I had the opportunity to interview one of my favorite characters from the show, Kappa Tau brother, actor Derek Mio. I’m a huge fan of the show and actually just started watching this year, but got myself caught up through watching the first season on Hulu and hosting Greek viewing parties with Lucia at school. It was an intense battle for Lucia and I to search for a lounge and an open tv in my building just to catch the new episode. Q: Derek Mio, where are you from and how did you get started in this business? Derek Mio: I am from Huntington Beach, CA. I attended USC Film School and during the summer of my freshman year I interned at a commercial agency and they decided to send me out because I figure a) their Asian clientele at the time was pretty limited and b) I had spikey bleached tips. From then on I booked print jobs, then commercials, then TV guest star roles, then independent film roles, and here we are with you interviewing me because I’m on Greek. Q: Have you wanted to be an actor your whole life or did these gigs just fall into your lap? D: I can remember daydreaming about being an actor from a very early age as I sat in front of the TV watching Saved by the Bell, Fresh Prince of Bel-Air, Jaws on TBS for the 37th time, or Ferris Bueller’s Day Off and The Last Starfighter on VHS; throw Big Trouble in Little China in there too! Oh, and The Secret of My Success with Michael J. Fox! Anyways, I kind of had it in my head that I would eventually make it to being an actor and that probably influenced the cosmos to act in my favor. For real, do you remember those posters in elementary classes that would say “Believe it and Achieve it!”? Well, I guess I just applied that particular poster to my passion of acting. I’ve been acting now for close to 9 years so I can’t really say that “these gigs just fall into my lap” but I have been fortunate enough to see a progression of one gig leading to the next. We’ll see what happens…next! Q: What is a typical day for Derek Mio? D: I’ll get up around 9 or 10. Check my Gmail. Check my Twitter. Pour a bowl of cereal. Maybe run to the gym and work out for a bit. I like to edit videos so if I’m working on a project I will try to find a coffee shop and do that for a few hours. Ummm…other days I might go play a round of golf with my buddy Zack Lively from Greek, who btw I saw you had a dream about the other day?! I gotta tell him that one! Q: You and the other Kappa Tau guys have a great relationship in front of the camera, are you guys bffls in real life as well? D: I don’t think many people are “best friends for life” because that is a long time. A lot of times you will lose track with friends over the years either because you switch jobs, or you move, or you just lose touch because you get married and have a family and now your whole life is devoted to your wife and kids. I just think it’s a stretch to call any friend a bffl’er. But to answer your question, our relationship onscreen is pretty accurate to that of ours in real life. We don’t all hang out together a lot but when we do it’s like we’re back at the Kappa Tau house and we’re close as can be. I’ve been pretty fortunate to work such cool professionals. Q: I was reading a previous tweet of yours the other day when you said, “Just wrapped my last scene/episode of Greek. Bittersweet for sure. Love that crew! Look out for @Day_One on NBC!” Explain yourself please. Say it isn’t so, I don’t want Wade to leave Greek nor do I want to see Greek end. D: Well don’t turn to my Twitter page for your source of official news! I did land a role on a new NBC show called Day One which will air next year and that might conflict with Wade’s enrollment; hopefully not, but let’s just emotionally prepare for that now if it happens. Q: The new season of Greek premieres Monday, what can we expect out of this season and out of Wade? A possible serious girlfriend? D: You know Wade is up to the same tomfoolery and shenanigans but he’s older now…and a little wiser…by a semester. You’ll just have to tune in to see what I mean. Serious girlfriend? Pssh!! Wade doesn’t get down like that! Ask Casey, Ashleigh, and Rebecca! Q: How much alike are you and your character Wade? D: Wade dresses much better than I do. I’m a little more intelligent than Wade. Q: What’s on rotation on your iPod right now? D: I don’t really use my ipod as much as I should. I go on Pandora.com a lot. If you haven’t tried it you definitely should. It plays music similar to a song or artist of your choosing. But in my car’s cd changer I got Eminem’s Relapse, Doors-esque psychedelic rock band Black Angels, Hawaiian reggae band Katchafire, and L.A. based hip hop band DDL Roundhouse--definitely worth checking out! Q: What’s new with Derek Mio and where will we be seeing you next? D: What’s new with me? I just went deep sea fishing with my brother, cousins, Aunt, and Uncle and caught some yellowfin tuna. You will be seeing me on Greek, Monday nights at 9/8c on ABC Family and next year on Day One on NBC. Q: Anything else you want to tell my readers?